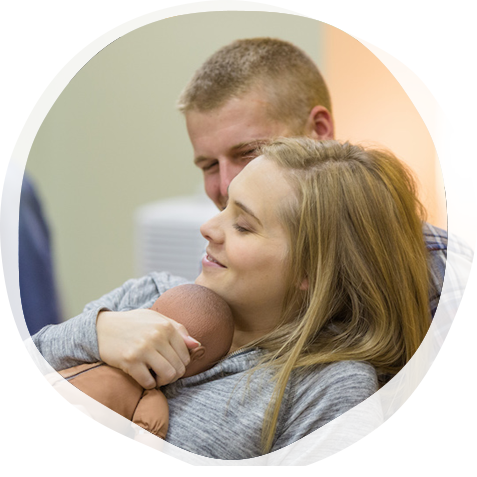 Are you considering applying for the Lamaze certification exam? From when and where the exam takes place, to how the questions are developed and scored, keep reading to learn everything you need to know before applying to become an LCCE educator. The certification exam takes place two times a year — in April/May and October/November. Exams in languages other than English are available by request in November only. You may take your Lamaze Certification Exam at the Assessment Systems Testing Center near you. Within two weeks of your application approval, you will receive an email to select your testing location and specific testing date. Note that you will only be able to secure a date and location once you receive this email. If you are outside of the United States or located in a remote area (more than 150 miles away from a Assessment Systems Testing Center), you have the option of taking the exam under the supervision of a proctor. The candidate selects the proctor according to the eligibility guidelines. The proctor must not be a LCCE educator, relative or person who presents a conflict of interest (such as an employer). When completing the exam application, the candidate should select “alternate site” and submit a proctor form if they meet these criteria. The exam contains 165 multiple-choice questions, which must be completed within three hours. The Exam Blueprint provides a breakdown of the content covered on the exam. The cost for United States candidates is $395. Find costs for candidates outside the United States. The fee includes Lamaze International membership for three years, pending successful completion of the exam. Exam application fees are non-refundable. All Lamaze International Childbirth Educator Certification policies, fees and requirements are subject to change without notice. If a candidate does not successfully pass the exam, they are eligible to retake it in any language and in any form (CBT and PBT) as early as the next time the selected language is offered. There is no required waiting period and no limit on the amount of times a candidate can retake the exam. The retake fee is $155. If a candidate needs to cancel or transfer their application to the next exam date, they must submit a request via email at least two weeks prior to the exam date. Candidates may defer or transfer their exam application and fee for up to two exam periods. Each exam deferral will incur a $75 fee due prior to the next exam. There are no refunds for Certificate Exam payments. Exam cancellations and transfers are reviewed on a case-by-case basis. Questions: Questions reflect essential information that a childbirth educator should know. Lamaze Certified Childbirth Educators from around the world work together to develop the test questions (items). The Certification Council makes the final selection of questions for an item bank. The level of difficulty of the item is identified at the time it is written. In general, the items that require some level of analysis, rather than simple recall of information, are considered more difficult. Difficulty Rating: Distracters for each question are rated. A question that has more “sophisticated” distracters that require a higher level of knowledge is rated as more difficult. At least 30 percent of the questions on the certification exam are application questions that require analysis, rather than simple recall of information. Passing Score: The passing score for the certification exam is different each time the exam is given. After each administration, a psychometrician completes a statistical analysis. The committee reviews the statistics for each test question and if a particular question does not “perform” well, it is eliminated from the scoring. The level of difficulty of the remaining items determines the passing score. Score Standard: An important feature of this exam is that those who take the exam are not compared to each other. Rather, individuals are compared to a standard, which is based on the level of difficulty of each test item. The passing score on the exam has ranged from 70 percent to 79 percent. More detailed information regarding scoring is provided on the score report that each candidate receives following the test administration. Still have questions? Our certification team is here to help! Email us at certification@lamaze.org.